Many Rolex collectors consider the Split-Seconds Chronograph, reference 4113 to be the “Holy Grail” of vintage Rolex. Only twelve were made, only eight have ever surfaced, and they can fetch over a million dollars at auction. However, there is a Rolex even rarer and obscure than the reference 4113: the Rolex Zerographe, reference 3346. There are many unique aspects about this watch. Take a close look. The reference 3346 is the first Rolex chronograph, a luxury watch, to feature an in-house movement. Previous chronographs were based around Valjoux movements, but the Zerographe, reference 3346 is a 17-jewel, manual-wind Rolex movement with additional parts added to create a fly-back, stop-seconds function. When the button located at the 2 o’clock position is pressed, the second hand – which is otherwise continuously sweeping, jumps back to zero. As long as the button stays pressed, the second hand will remain at the zero position, and will only start moving again once the user releases the button. The Rolex Reference 3346 features 17 jewels. 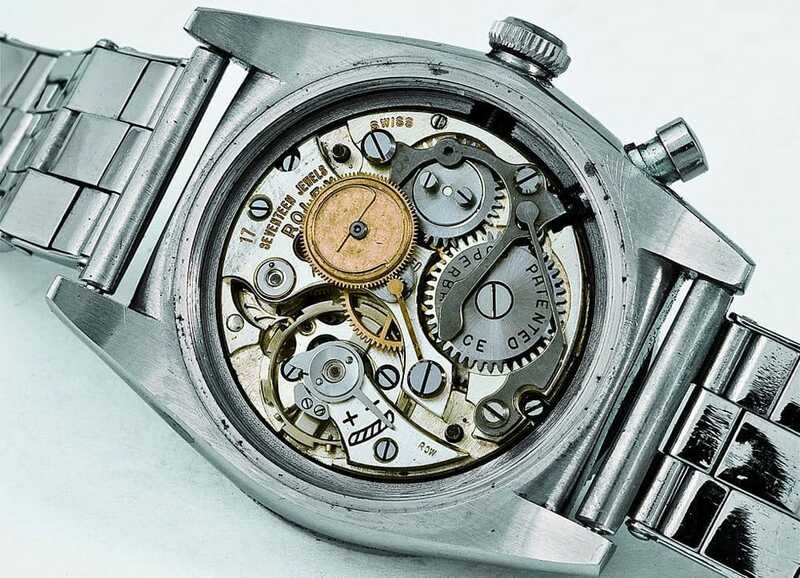 While this chronograph function may seem quite primitive compared to split-seconds movements with multiple sub-dials, it must be noted that the reference 3346 was built in 1937. To put that into perspective, the United States didn’t enter WWII until 1941; this Zerographe reference is not just vintage; it is astonishingly old. While Rolex’s first ever in-house chronograph movement is auspicious enough to create interest among collectors, the reference 3346 is also the first Rolex ever to feature a rotating bezel. This may not seem significant; however rotating bezels are now an iconic feature of the brand. 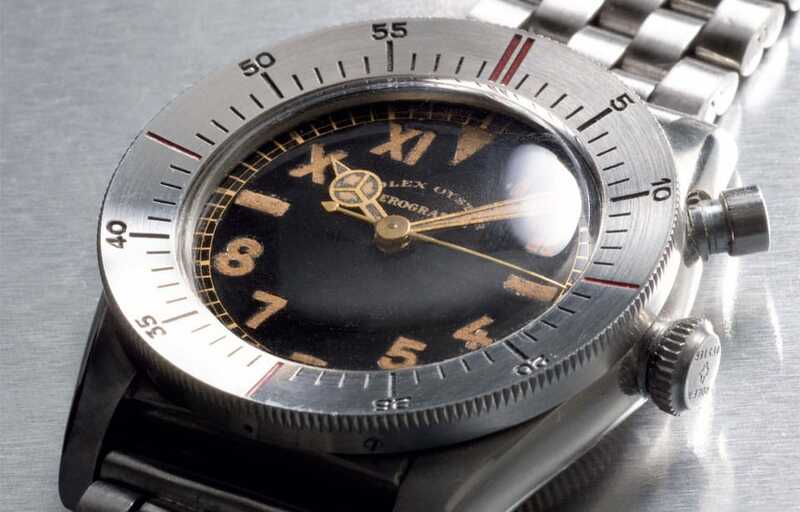 The fact that Rolex’s rotating bezel can be traced back to the reference 3346 is enough to make the Zerographe noteworthy; however, when you also factor in Rolex’ first in-house chronograph movement, you truly have a special timepiece that has helped shape the history of one of horology’s most respected names. A rotating bezel was a huge feat when this watch first came out. The Rolex Zerographe, reference 3346 is so old and so rare, that there is almost no mention of it anywhere in official Rolex literature. Part of the reason behind this absence is that the chronograph limitations make the 3346 more of a refined test-concept than a finalized design. It is estimated that Rolex produced between seven and twelve 3346s, and only four examples are known to still be in existence. The reference 3346 checks all the boxes for vintage collectors: It was the first Rolex to contain an in-house chronograph movement, as well as feature a rotating bezel. Additionally, the reference 3346 is very old, and there were only ever a maximum of a dozen produced in the first place. Not all Rolex collectors can be satisfied by a vintage Daytona or even a “Big-Crown” Submariner. For those that require the absolute highest level of rarity and obscurity, there is the Zerographe 3346. 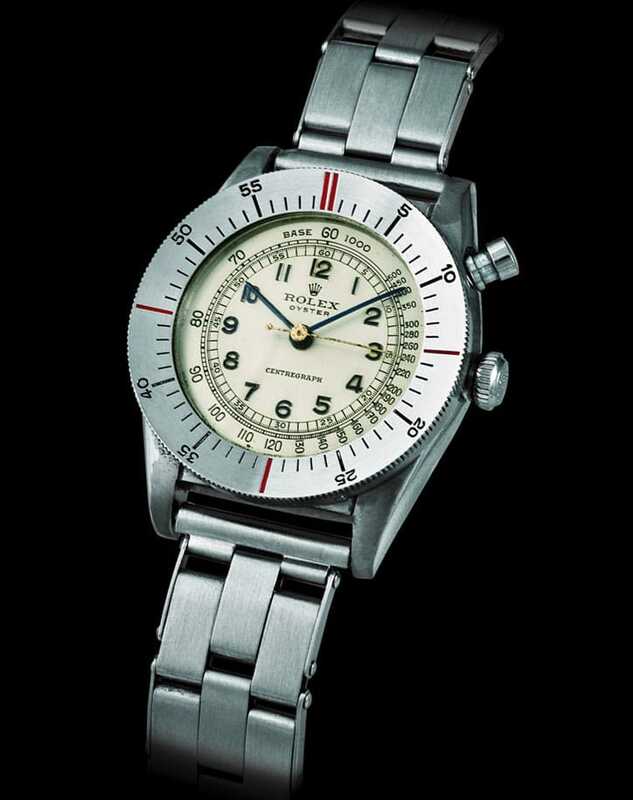 Eric Wind is a vintage watch expert and owner of Wind Vintage. Eric has been featured and quoted in a number of publications including HODINKEE, The New York Times, The New Yorker, The Wall Street Journal, Financial Times, The Chicago Tribune, Men's Health Magazine, and Robb Report. Previously serving as Vice President, Senior Specialist for Christie's where he helped lead the sale of a number of important watches at auction around the world, Eric is a frequent contributor to Bob's Watches.